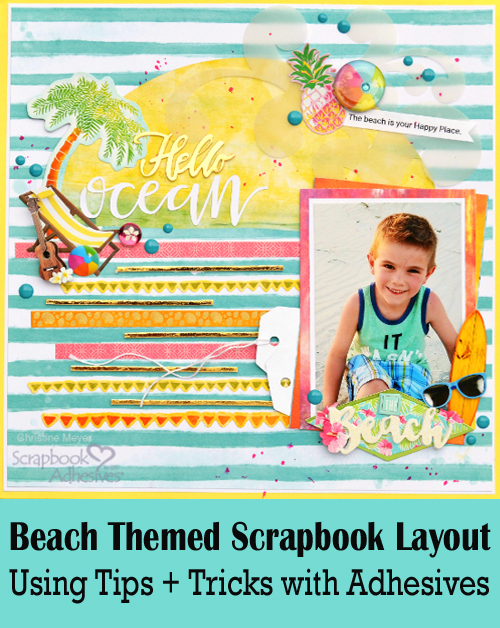 How many adhesives do you need to complete a Scrapbook Layout? 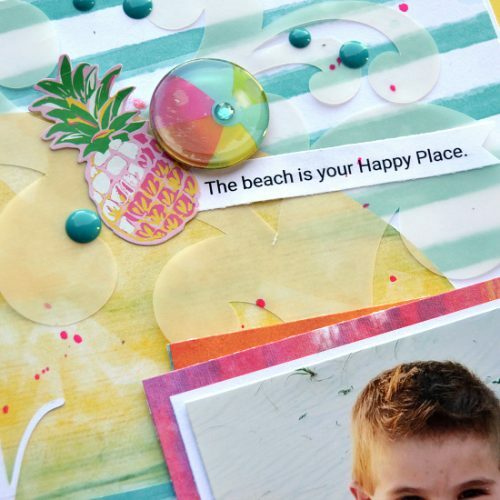 As I prepare to create a layout I consider all the different mediums I want to use AND all the different embellishments. Then I gather up all the adhesives I will need to get things done! 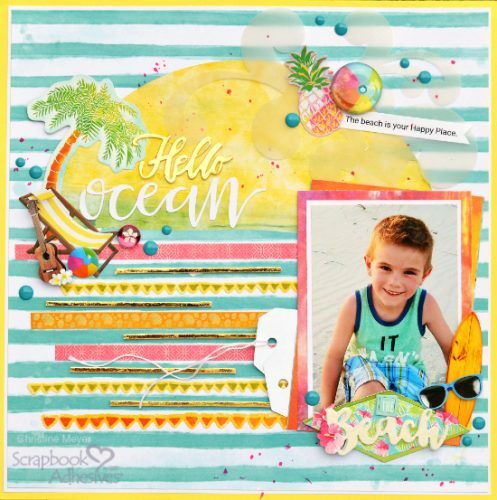 Christine joining you today with a layout that features a wide variety of adhesives to meet all my needs! 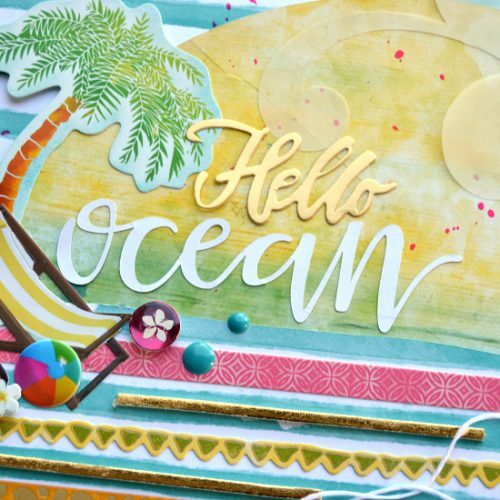 This layout contains five different adhesives: E-Z Runner Grand® Permanent Strips, Adhesive Sheets 4 x 6-in., Crafty Foam Tape, 3D Foam Creative Sheets, and the E-Z Runner Grand® Ultra Strong. 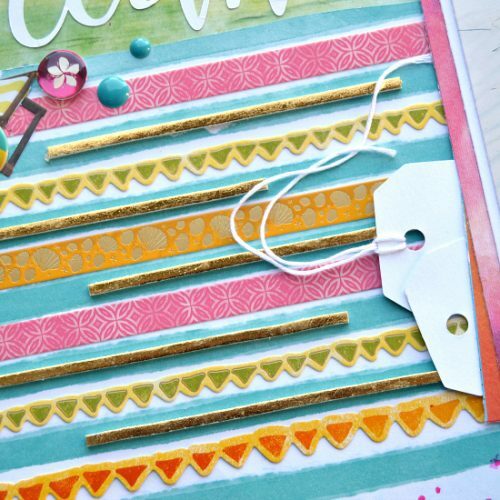 These colorful rows contain a lot of border stickers but also 3D Foam Creative Sheets cut into thin strips and then topped with gold foil from our Metallic Transfer Foil Holographic set! This allowed me to create unique stripes that have both texture and sparkle! To cut these I just combined a ruler, a cutting mat, and a craft knife. It’s a slow process but can really make a neat impact! Once I added them I just laid the foil over the top, rubbed it and pulled it back up. Easy as can be! Adhesive Sheets are one of my go-to adhesives for adhering things I cut out with my metal die cuts. They turn things into a sticker and make it SO EASY! If you do a lot of cutting either with metal dies or an electronic machine, you need these in your adhesive collection! Did you know our Ultra Strong refill for the E-Z Runner Grand® goes on nearly clear? It is perfect for adhering vellum. In this case, I just needed it a little because I wanted the flourishes to be loose and give off the feeling of waves. This entry was posted in 3D Foam Creative Sheets, Adhesive Sheets, Adhesives, Crafts & Tutorials, Crafty Foam Tape, E-Z Runner® Grand, Intermediate, Metallic Transfer Foil, Permanent Adhesive, Scrapbook Page, Scrapbooking, Seasonal Craft Ideas, Skill Level, Spring, Summer and tagged 3D Foam Creative Sheets Mix, 3D Foam Creative Sheets White Medium, Adhesive Sheets 12x12" (25 sheets), Adhesive Sheets 12x12" (5 sheets), Adhesive Sheets 4x6", Adhesive Sheets 6x12", Beach, Christine Meyer, Crafty Foam Tape White, E-Z Runner Grand Dispenser, E-Z Runner Grand Permanent Strips Refill, E-Z Runner Grand Ultra Strong Refill, Foil, Metallic Transfer Foil Holographic, Scrapbook Page, Tutorial, Vacation. Bookmark the permalink.